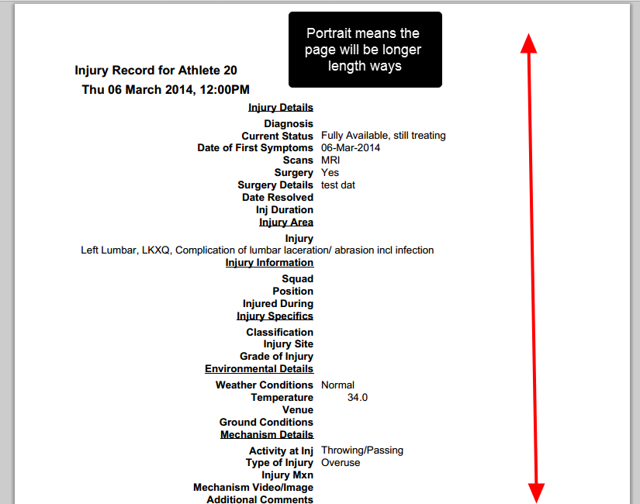 To print an Athlete's data, there are a number of places where a pdf can be generated from. 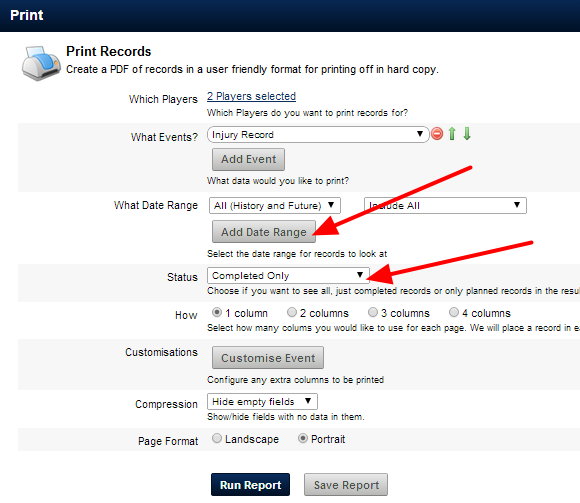 Some Event Forms are set up with "Save and Print". 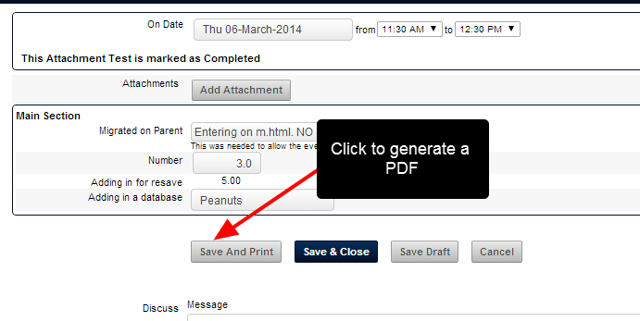 The example here shows that this record has been set up so that the Event can be Saved, and a PDF will be generated. The "Printed" PDF will be generated using a Landscape layout. Zoom: The &quot;Printed&quot; PDF will be generated using a Landscape layout. 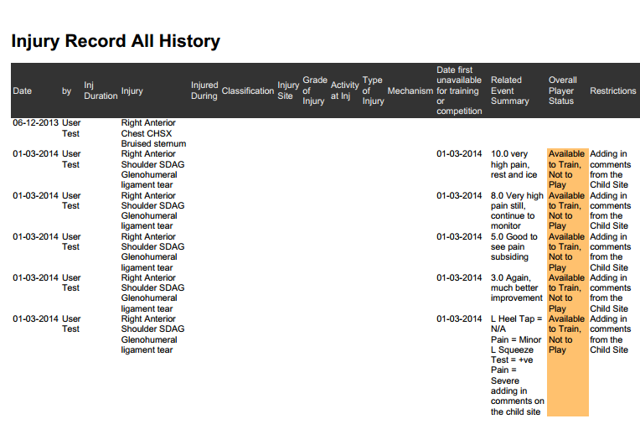 This Injury Record has specifically been set up so that the Form will be presented in a Portrait View (as shown in the image below). 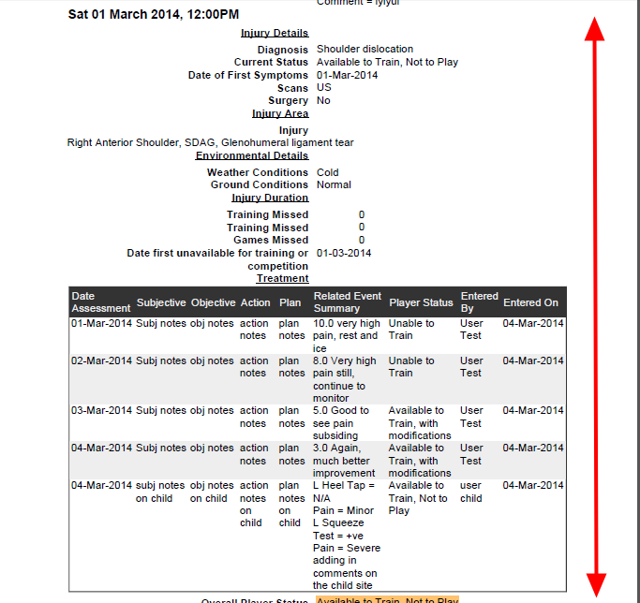 A 2 column layout will condense the data into two columns (e.g. 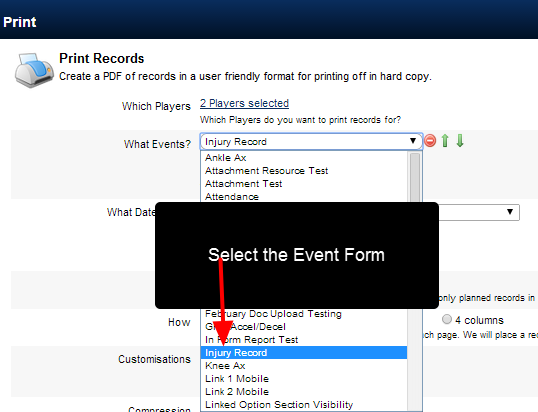 all Event Form Fields running down the page). Zoom: A 2 column layout will condense the data into two columns (e.g. 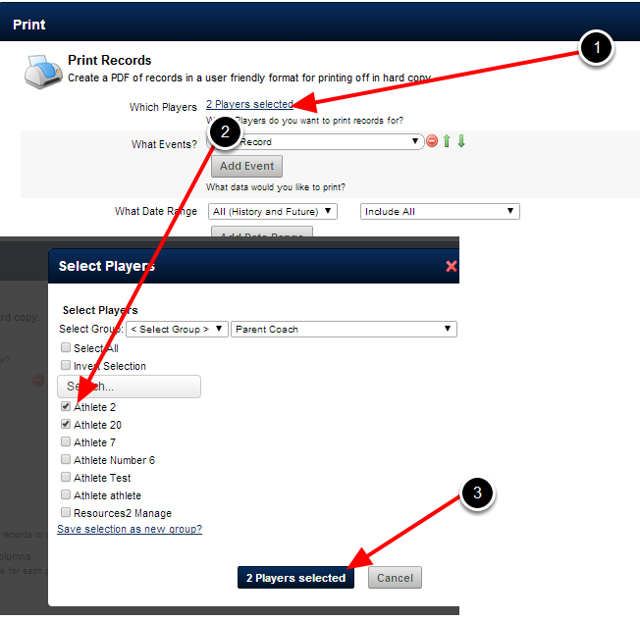 all Event Form Fields running down the page). If you selected 3 or 4 columns, then it would try and condense down. However, depending on the type of data you are displaying it may not display correctly at all. 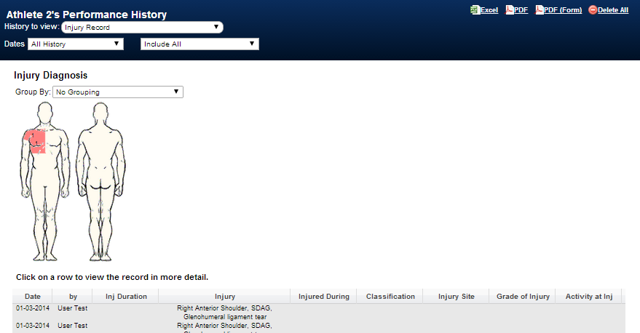 The Injury Record was set specifically to print as a "Portrait". 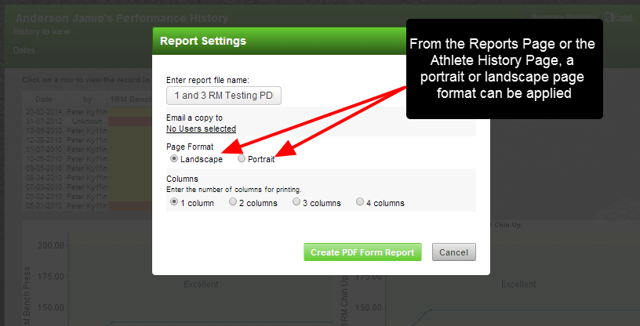 Most importantly, click on 1 column of Data and select the "Portrait View"
Click on Run Report to generate the PDF. Next: To Email a PDF report, you will now need access to a special "Reports - Send Email" permission.